"Starring Warwick Davis and The Reduced Height Theatre Company. A comedy of huge small proportions like nothing you've ever seen before! This wonderfully funny and much loved farce is brought to life on stage once again - this time with a difference. It still features hilarious comic situations involving mistaken identity, doors and vicars but the comedy will be heightened by the fact that the cast are all under four foot tall! 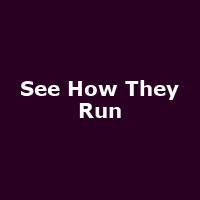 See How They Run is the first theatre tour starring The Reduced Height Theatre Company and Warwick Davis, the most famous short actor in Britain who is best known for his roles in Willow, Star Wars, the Harry Potter Series and most recently on our TV screens in Life's Too Short and An Idiot Abroad 3."